Due to the masses of people in the park there was no place to stay, but we were quickly introduced to one of the best kept secrets in Utah: BLM Land. BLM stands for “Bureau of Land Management” and this is public land that is maintained by the government. In Utah, it is mostly desert, however if you find BLM land, you are allowed to park and camp assuming you are at least 1/4 mile from any main road. We pushed our Jeep to the limits and ended up sleeping three nights on BLM land outside of Zion. 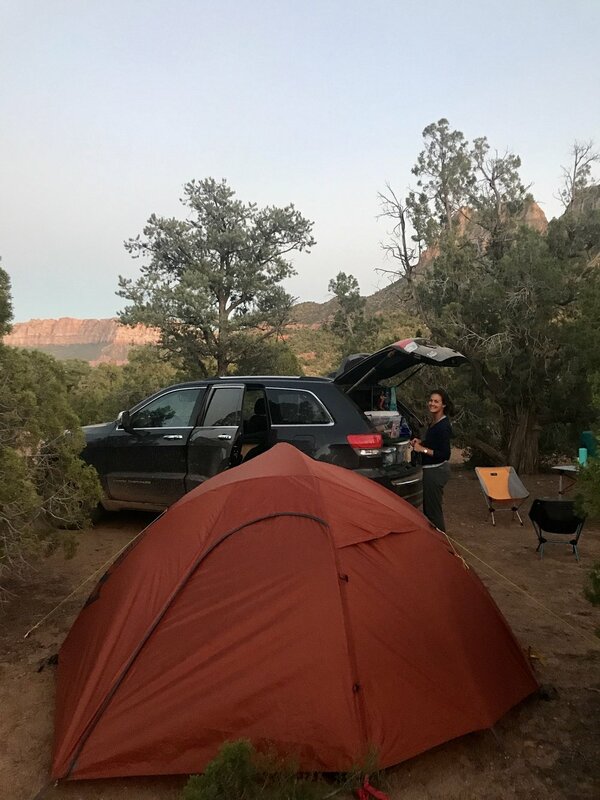 The camping was quite different (no amenities, desert sand, no people, etc, etc), but we didn’t care since we were able to explore Zion and camp for free! After a nice sandstorm on our first night, we woke up early and conquered the sobering Angel’s Landing Hike for sunrise. This hike is no joke and sadly a few people have fallen to their deaths on this hike. Once you get to the top, you are greeted with an insanely narrow ridge where you need to use chains to continue to the top. It’s a little scary, but as long as you are extremely careful it is totally worth it. The views from the top (particularly at sunrise) were incredible and gave us an expansive look at the main Zion Canyon. On Day two, we conquered the famous “Narrows” hike and this is unlike anything we have ever done. There are a few ways to do this hike, but without a permit you need to do what’s called the “Bottom Up” hike. You essentially start at the end of Zion Canyon (the Temple of Sinawava), walk a mile and then get a nice 7-mile hike through the famous Narrows slot canyon. The catch here is that the hike takes place about 90% time in water (i.e., you hike through the Virgin River, basically the whole time). It is wild! Yes, we got very wet and yes the water was not exactly warm; however, getting to explore the canyons, basically alone, was quite an experience! 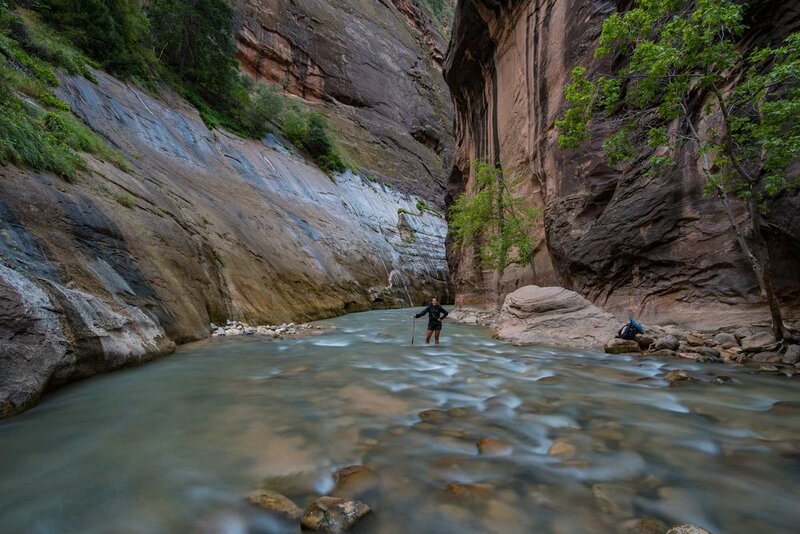 We could have easily spent a week in Zion, but knew we had plenty more to explore. If you could only do one Utah park, it is hard to argue against this one. 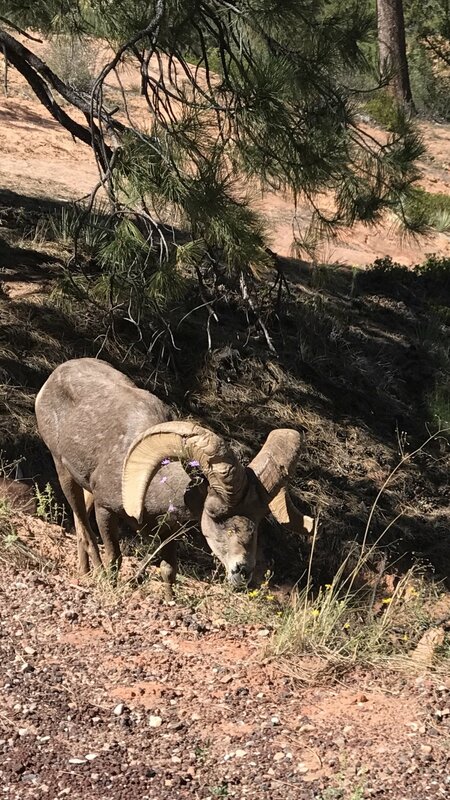 Our only advice would be to get a camping spot nearby and MAKE SURE you do most of your exploring first thing in the morning before the crowds take over the park. Our next stop was Bryce Canyon and here, once again, campsites were hard to come by. We ended up spending a quick night in a national forest just outside the park and slept in the Jeep (Utah was starting to get down into the 20's at night). We woke up at 4am and headed into the park to catch the sunrise at the main Bryce Amphitheater. When we arrived at Bryce Point two things became very apparent: #1 was that it was very dark and very cold at the lookout spot. #2 was that a nice fog was rolling in, slightly obstructing our view. Ugh. 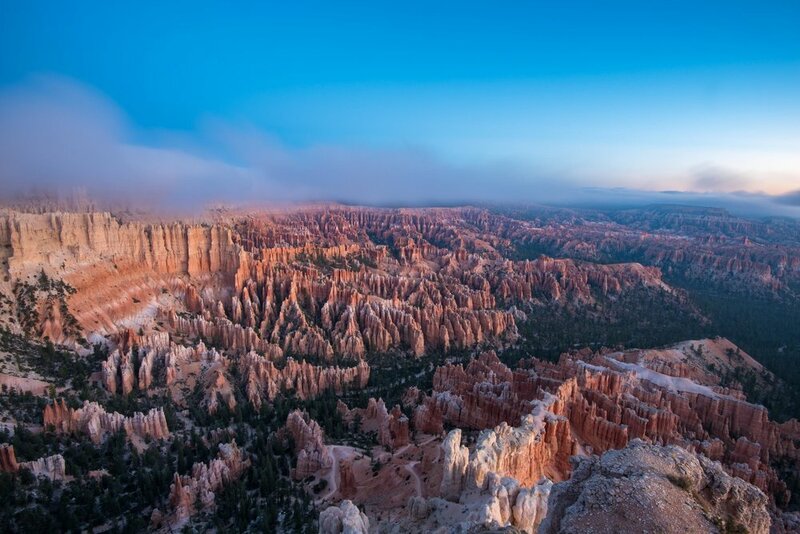 In any event, the sun eventually rose and started to light up the hundreds of hoodoos below. It was a pretty wild sight and reminded us of seeing the sunrise in The Badlands. Crazy rock structures of all different shapes and sizes were scattered below us and once again, it looked like we had landed on another planet. We then drove the main road to one end of the park and back, taking in the various sights from the lookout points. It was a quick stop, but was definitely very cool to see. We headed into town and got some guidance from a coffee shop that we should drive the scenic I-12 on our way to Moab. 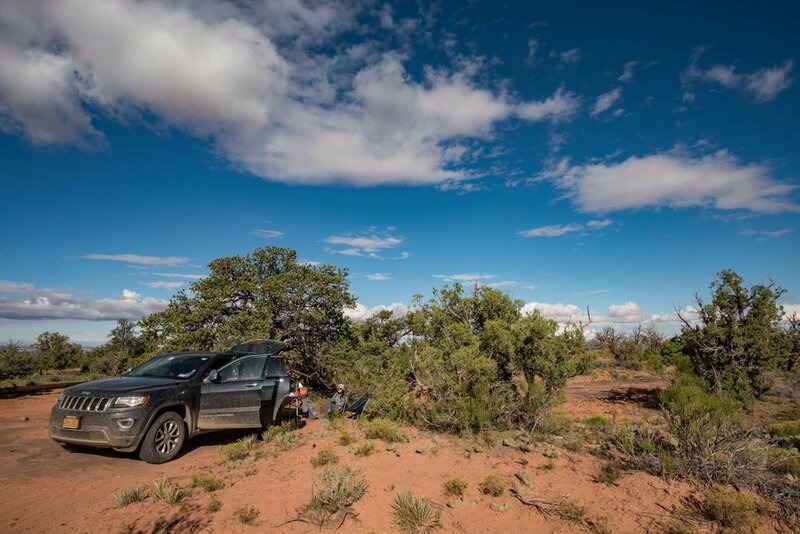 This ended up being a great piece of advice because it was one of the coolest drives we have done ever, including driving right through yet another park: Capitol Reef. Taking I-12 through Utah is incredible. You drive winding roads through huge sandstone walls, insane death-like valleys and crazy deserts with huge rock formations coming seemingly out of nowhere. 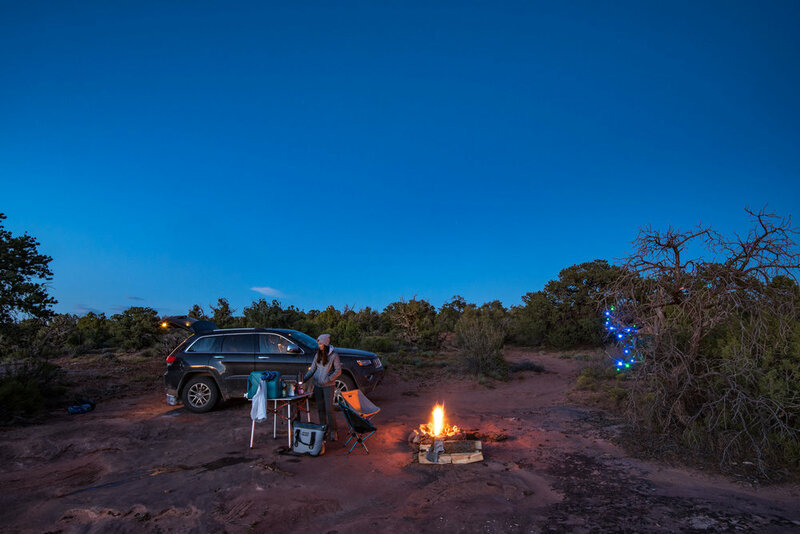 Once you join up with I-24 you drive smack through the middle of Capitol Reef National Park. While you could technically drive right through, we ultimately decided to head into the park for a few hours where you could actually drive narrow roads through the steep sandstone walls. The main events were driving through Capitol Gorge, as well as seeing some authentic petroglyphs on the canyon walls. It was pretty wild. We are not sure you would need to spend more than a day in this park, but if driving through Utah you HAVE to take I-12 and I-24 just to see this park. Its another beautiful stop and great way to break up a drive. At nearly 9pm we found a tiny stretch of road that had just a few spots slightly resembling camping sites. We talked to some nice folks who had already set up camp and they assured us we were good to camp and we found yet another home for a few nights in the middle of nowhere in Utah. Haha! Not our favorite situation to be in, but sometimes you just need to roll with it. After we enjoyed the sunrise and met some nice folks, we headed to and enjoyed the various Island in the Sky lookouts, which revealed the insane valleys below. It is truly hard to believe that terrain like this exists in our country! The next morning, we drove over two hours to the complete other side of the park where “The Needles” are. We must have taken a wrong turn because instead of ending up close and personal with the hoodoos, we ended up at a lookout point. However, it was totally worth it. We were opposite the Island in the Sky but it offered us incredible views of the expansive network of gorges below. We had lunch in the main town of Moab (which is awesome) and then spent our entire afternoon exploring Arches National Park. Our time in Arches sadly got cut a bit short because the park was doing major construction on the roads and restricted visiting hours. We wanted to get in there for some sunrises, sunsets and night photography, but were just not allowed. Once we got inside though, we realized how awesome this park was! Yes seeing all the world famous arches were awesome, but so was the general terrain of the park itself. Crazy sandstone rock structures all around you, it was just beautiful. 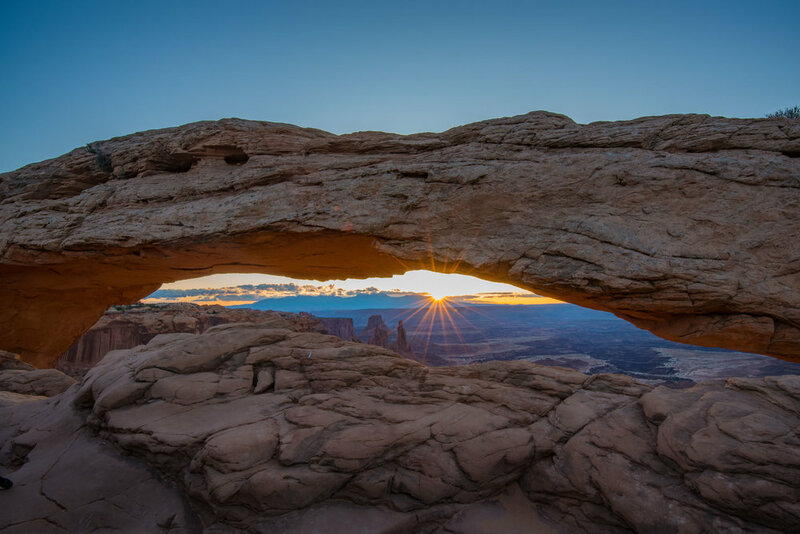 We explored some of the popular arches including Skyline, Sand Dune, Delicate and the Double Arch. We also got incredible views of the Salt Valley and Petrified Dunes. 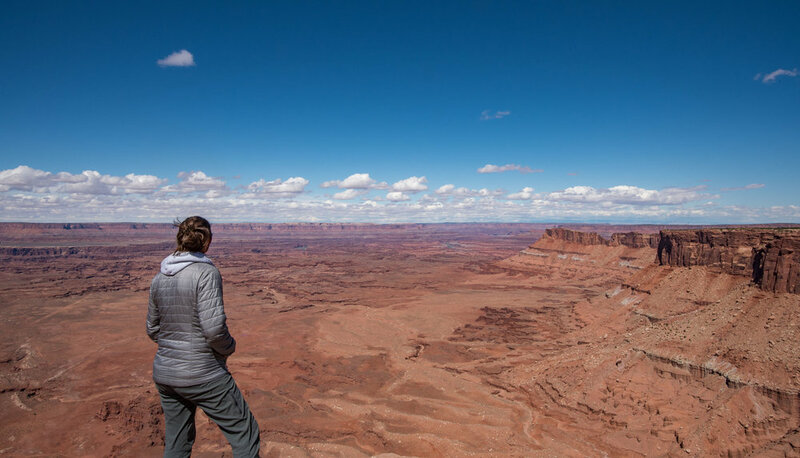 This park quickly became one of our favorites and in general, the Moab area of Utah is an outdoorsman’s dream. 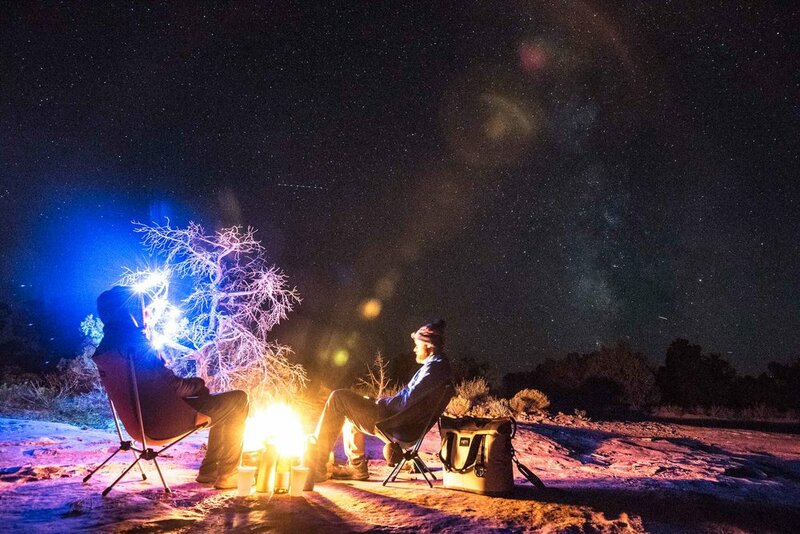 There are tons of places to camp, two amazing national parks and more outdoor activities to enjoy than probably anywhere on the planet. With the amazing skiing in the north and the outdoor paradise in the south, it is hard not to fall in love with Utah. Furthermore, the crazy changing landscapes across the state make it truly one of a kind! On our last morning, we grabbed breakfast in Moab and then drove along the Colorado River on I-128 to Castle Valley. Anyone who is a fan of Western movies or the popular show “Westworld” has seen this place before. The iconic rock structures make it an easy film location for all things western. It was very cool to see in person. We followed the river pretty much all the way into Colorado, eventually driving past all the major ski mountains on our way to Denver, where we would spend the next few nights. We will try and do a quick write up of our time in Colorado later this week...have a good week!